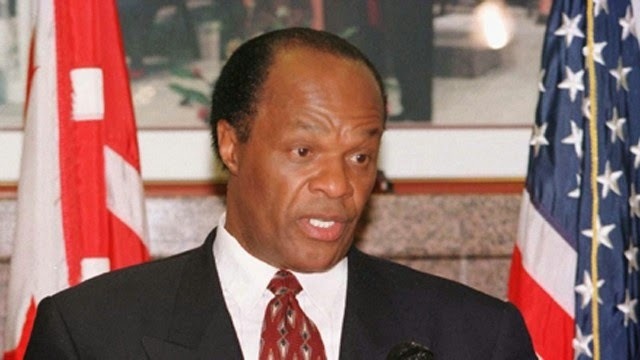 Marion Barry, the politician known as "Mayor for Life" has died at the age of 78. He served four terms as Mayor of Washington D. C. and was the most beloved local leader in four decades of District of Columbia self-rule. Mourners gathered inside a cavernous hall at the Washington Convention Center to pay their final respects to former Washington D. C. Mayor Marion Barry. The Rev. Jesse Jackson delivered the eulogy, which was a roll call of Civil Rights Heroes, at the December 6 funeral. In his eulogy, the Rev. Jesse Jackson called Barry, who came to Washington as the first chairman of the Student Non-Violent Coordinating Committee (SNCC), a "freedom fighter" who joins the pantheon of civil rights leaders who died before him. "Marion was one of the architects of the new South and the new America," Jackson said. 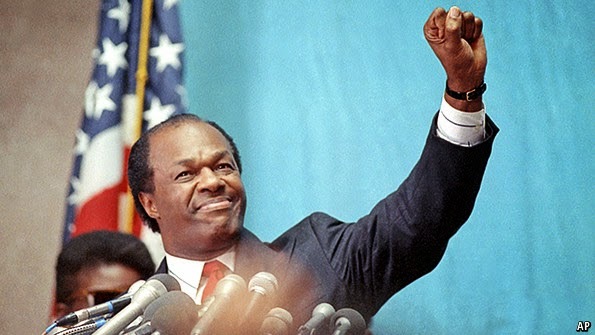 "Marion Barry emancipated Washington." Other speakers included the Rev. Louis Farrakhan and former House Speaker Newt Gingrich, who appeared on video. Barry's widow and son also spoke. 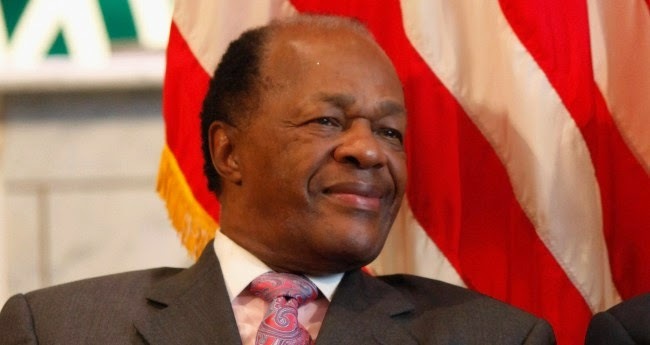 Washington, D.C., on Thursday, December 4, began a three-day final farewell to former Mayor Marion Barry. Barry, known as the District of Columbia's "Mayor for Life" after four terms in office, died on Nov. 23 at 78 due to heart problems. He was a city councilman when he died, representing impoverished Ward 8. Barry's coffin, draped in West African kente cloth and piled high with red roses, lay in repose at city hall after police pallbearers carried it past mourners, media and political leaders. Civil rights leader the Rev. 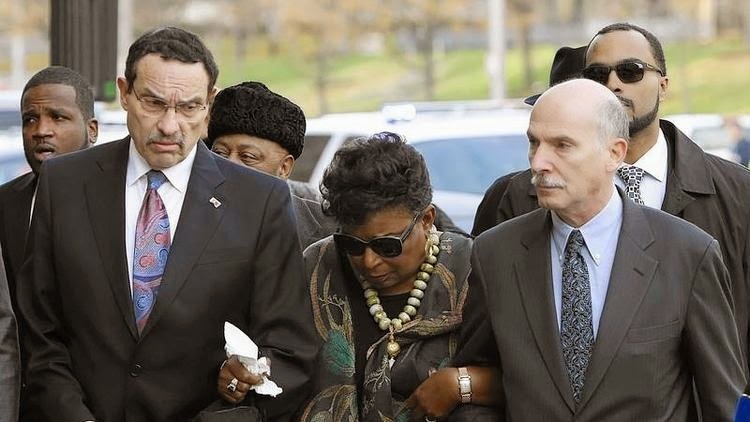 Jesse Jackson Jr. accompanied Barry's family into the black-draped building. Many of the mourners said Barry, the son of a Mississippi sharecropper, had transformed the U.S. capital by giving jobs and hope to black residents. Mayor Vincent Gray, (2nd from the left in above photo)a longtime friend and political ally of Barry, said Barry stood up for people with intellectual disabilities long before it was politically popular to do so. Gray, who directed an organization for the intellectually disabled, recalled how Barry dealt with a wealthy resident who didn't want a group home in his neighborhood. "Mayor Barry said, and I quote, 'You really don't want any answers, do you? If you want to talk about how we will make this work, I will stay with you all night. Otherwise, I have nothing else to say to you.' That was vintage Barry," Gray said. "The home opened and was a huge success." The Rev. Louis Farrakhan, the head of the Nation of Islam who was in Washington to support Barry, said he was asked by a reporter at the time what he thought of a man who broke his marital vows and used drugs. "I said, 'Who are you talking about, John Fitzgerald Kennedy?' That ended the press conference," Farrakhan said to a raucous ovation. "I only raised that for those who like to talk about our deficiencies while they hide the wickedness of their own leaders." Farrakhan also credited Barry with the success of the Million Man March on the National Mall, which he organized and led in 1995. "The Million Man March could never have happened in any other city at any other time than in Washington, D.C. at the time of Marion Barry," Farrakhan said. Barry's only son, Christopher Barry, thanked his father for teaching him both academic and life lessons, including a formative trip to Barry's native Mississippi when he was 13. He said Barry wasn't a conventional father, but he always felt the love Barry had for his constituents. "I didn't always feel like he had the time to spend with me as a father," Christopher Barry said. "It was other people that embraced me. I never felt his absence because I always felt his love through others." Charles Wilson, 54, was one of many mourners who wore a T-shirt printed with photos of Barry. A native Washingtonian and a social worker in the city, Wilson said he got his first job at age 13, working for the city's parks and recreation department, through Barry's summer youth program. "He was our father. He gave us jobs. He's done a lot for the city. Whatever I have belongs to him - my house, my car, my job with D.C. government," Wilson said. "He's like a messiah for the district. He paved the way for many, many, many of us, African Americans as well as people in general," said Diane Lyons, 54, a healthcare worker. Bernard Barker, 53, a laborer who had arrived at 6:30 a.m. to be first in line, prayed at Barry's coffin. 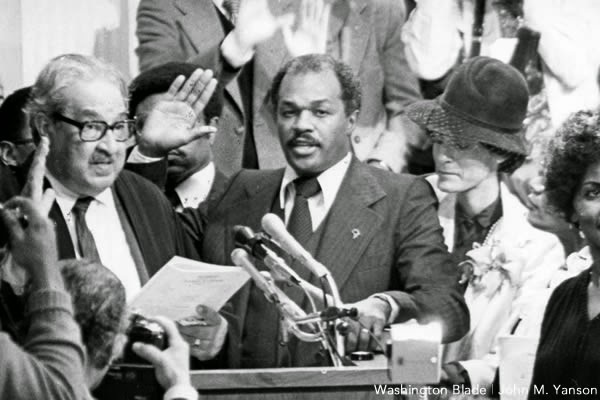 "I just said, 'God bless you, Mr. Marion Barry, God bless your family.' I know he's going to heaven because he did a lot of good for the city," Barker said. Washington planned three days of commemoration, with a motorcade carrying Barry's coffin on Friday, December 5, to the Temple of Praise church, where he had worshipped. A memorial service at Washington's Convention Center drew thousands. The Reverend Jesse Jackson delivered the eulogy. Barry became mayor in 1979 and focused resources on poor neighborhoods, government contracts for Black businesses and jobs on the city payroll. 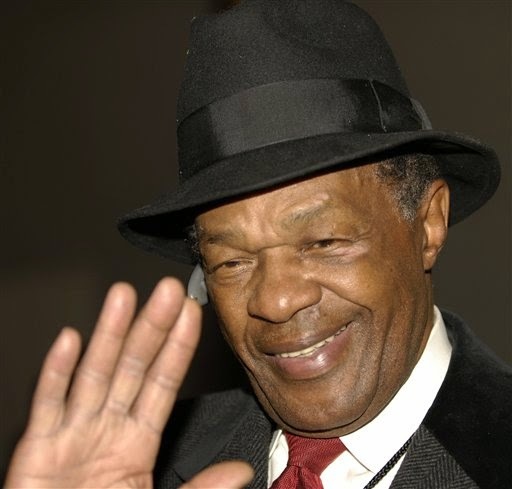 Marion Barry Jr. was born on March 6, 1936 in Itta Bena, Mississippi. His father worked as a sharecropper and passed away when he was only four. His mom moved the family to Memphis, TN. remarried and raised nine children. As a young boy, Barry took on multiple jobs to assist his family, including picking cotton. This young man applied his work ethic to his education too. He earned a bachelor’s degree in 1958 from Le Moyne College and in 1960 received his master’s degree in chemistry from Fisk University. His passion for the Civil Rights Movement kept him from completing his doctorate. Instead, Barry’s efforts went into the Student Nonviolent Coordinating Committee (SNCC); he served as its first national chairman. In 1965, he moved to Washington, D.C. to launch a local chapter. Barry attended LeMoyne College (now LeMoyne–Owen College), graduating in 1958. In his junior year of college, all of the racial injustices he had seen started to come together. There was a fair ground in Memphis that he and his friends decided to go to; it was a segregated fair. They went to the fair at the time that the white people were supposed to go, because they wanted to see the science exhibit. When they were close to the exhibit, a policeman stopped them and asked them to leave. Barry and his friends left without protesting the policeman. At that time, Barry did not know much about his race, or why they were treated poorly, but it did not sit well with him. After this experience, Barry became a more active member of the NAACP chapter at LeMoyne; he became the president. While at LeMoyne, his ardent support of the civil rights movement earned him the nickname "Shep", in reference to Soviet politician Dmitri Shepilov. Barry began using Shepilov as his middle name. In 1958 at LeMoyne, he criticized a college trustee for remarks he felt were demeaning to African Americans, which nearly caused his expulsion. While he was a senior and the president of the NAACP, Barry heard of Walter Chandler—the only white member on LaMoyne’s board of trustees—making comments that black people should be treated as a “younger brother not as an adult.” Barry did not appreciate the comments made by Chandler, and wrote a letter to LeMoyne’s president asking if Walter Chandler could be removed from the board A friend of Barry’s was the editor of the school newspaper, The Magician, and told Barry to run the letter in the paper. From there, the letter made it to the front page of Memphis’ conservative morning paper. In 1967, Barry co-founded Pride, Inc., a jobs program for unemployed black men. Next, Barry began his foray into politics by winning a seat on the D.C. School Board in 1972; two years later, he was elected to city council. But his success put Barry in the line of fire, literally. Hanafi Muslims took over the District Building in 1977 and Barry was shot during the incident. His survival seemed to boost his "unstoppable" image. After just three years on the city council, the democrat ran for mayor and won in 1978. He was reelected two more times. Despite being the political comeback kid, Barry continued to have brushes with the law involving such accusations as drugs, tax evasion, probation violation, traffic offenses and stalking. In 2010, he was censured and stripped of his committee chairmanship because of corruption allegations. Still, in 2012, he was elected for a third straight city council term. His story may become an HBO biopic with Eddie Murphy playing Barry and Spike Lee as the director. 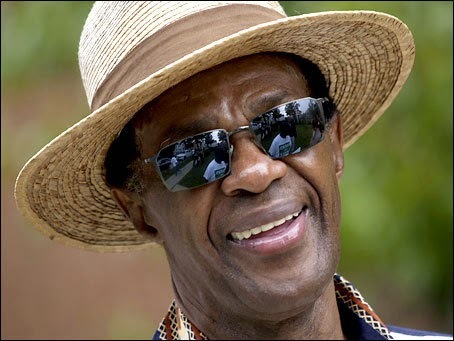 Marion S. Barry Jr. died on November 23, 2014 at the age of 78 in Washington D.C. According to a statement, the former mayor had numerous health issues over the years including high blood pressure, diabetes, prostate cancer and kidney ailments.